With temperatures starting to climb in the lead up to summer, RSPCA NSW is reminding animal owners to be mindful of their pets in the heat. Make sure pets have plenty of fresh water, kept in a cool place. Always put an extra bowl or two out in case one gets knocked over. 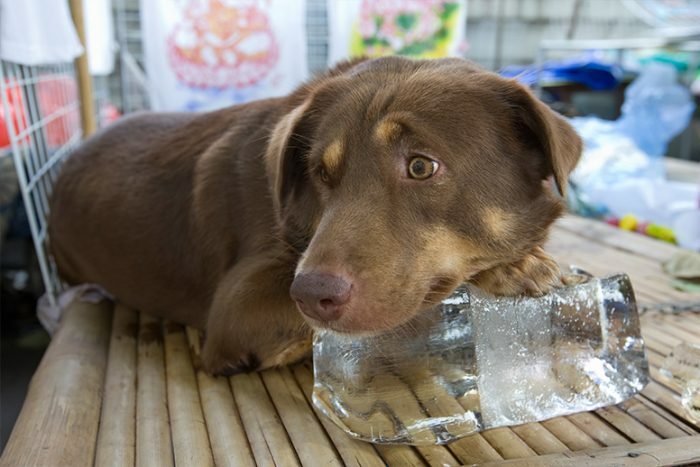 A few ice cubes in their bowl may be a good idea, but check your pet isn’t put off by the icy addition to their bowl. Also consider putting out a clam shell full of fresh water for your pet to frollick or sit in and cool off. If you have air conditioning, consider bringing outdoor pets like dogs and cats inside. Keep your pet’s flea treatment up to date. For dogs with hairless ear tips e.g., German Shepherds, apply a dog-specific fly ointment to prevent fly bite. Clip or trim long-haired dogs and cats to help keep them cool. Don’t let white, fair-skinned or pink-nosed pets sunbake in the yard during the middle of the day. 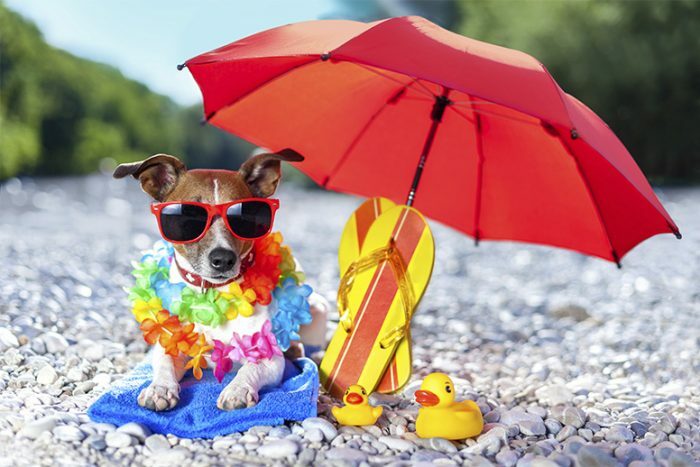 Apply pet-friendly zinc to the noses and ears of pets prone to sunburn. Search your pet daily and apply preventative treatments or a tick collar, as ticks are particularly prevalent in hot weather. Freeze some pet food in a takeaway container to make a delicious ice block and leave it to gradually defrost during the day. Ensure pets are vaccinated. Dogs should be fully immunised against the deadly parvovirus, which is especially active in warmer weather. Don’t exercise dogs in the middle of the day, as this can lead to heat stress. They tend to overheat very quickly and once their temperature rises above 40 degrees, this can be fatal. They can also burn their paws on hot pavements. Just remember, if you see a dog locked in a car and they are in distress, please contact your local police station or call us on (02) 9770 7555.